It only comes around a few times a year, but there's perhaps no better feeling than the euphoria that comes the morning of a Glossier launch. The campaign images are always exactly my aesthetic, with natural-looking models, dewy skin, and, of course, millennial pink. Then there's the packaging—minimalistic, chic, and clean. And the most paramount of all, the formulas. 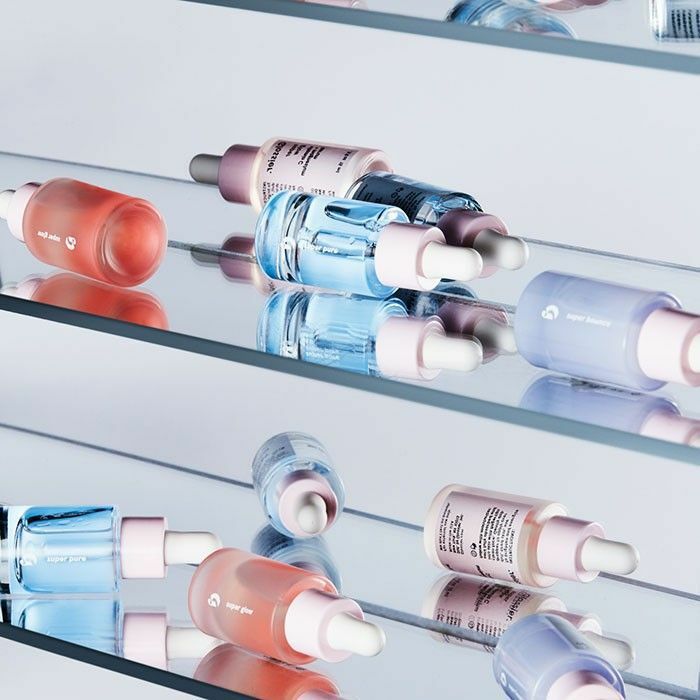 This time around, Glossier launched a trio of serums playfully called The Supers, and just like the '90s models, we can't get enough. "Think of these like supplements for your face," the press release reads. Each bottle is a super-concentrated blend of essential nutrients to help with any of your own personal skin ailments. "Because you're not just a 'skin type'—your needs change daily, and your product lineup should help you adapt," the brand aptly explains. What's your favorite serum? Let us know in the comments below! Could This Be One of the Greatest Serums Ever Made?